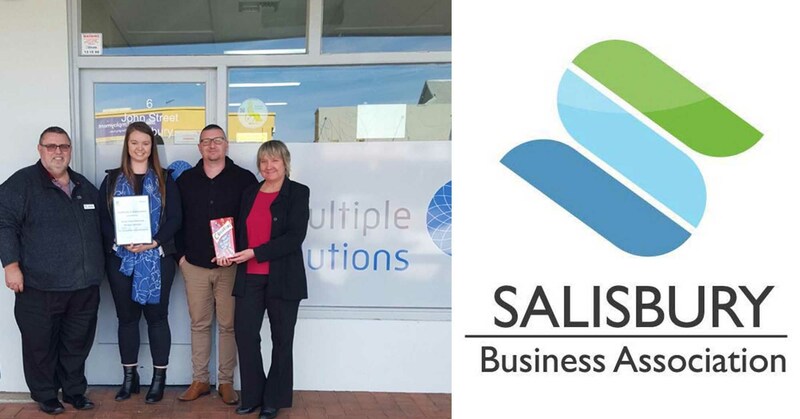 Multiple Solutions has been nominated for the 2018 Salisbury Business Award for Community Services, thanks to the generous support of one of our participant’s parents who advocated for the incredible service provided by staff at our Salisbury office. The Salisbury Business Trades Association (SBTA) was contacted last week by the parent of a participant who advocated strongly for the high level of service Multiple Solutions had provided to her daughter. Along with the nomination, Employment Consultant Linda; Senior Business Development Manager Adam; and Site Manager Sarah, were presented with a certificate of appreciation for outstanding customer service, and were featured in the SBTA newsletter. To vote for Multiple Solutions in the 2018 Salisbury Business Awards, send a message to the Salisbury Business Awards Facebook page, or visit our Salisbury office for a nomination form. Voting closes Friday 17 August, 5pm! If you have any questions about our services, or would like to speak to someone about starting your journey with Multiple Solutions, visit your local office or give us a call on 1800 053 154.